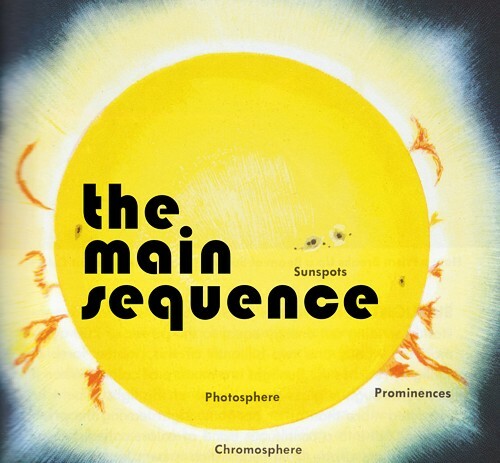 The Main Sequence is an ambient prog-psych duo from Iowa consisting of Joel David Palmer (guitar, sound processing, and loops) and Joshua Alan Weiner (Moog, Mellotron, guitar, bass, percussion, and loops). Their debut album consists of four lengthy, spaced out live improvisations. I wanted at first to compare it to Zeit, Tangerine Dream’s classic of dark ambient space music. Certainly the opening track, Camelopardalis has a Zeit kind of vibe to it, as dark waves of sonorous drones wash over wiry, cosmic noodling. But from there, things change. The Star of Courage is built around a gritty bass sequence. Not really Berlin school though. This is grungier, earthy in a way, but still out there in space. Weaving around and through it are Pink Floyd-esque guitars… wailing, groaning and sighing, singing the anthems of dead worlds lost in time. Triple Indus Sunrise, as its title would suggest, is a brighter piece. It starts out quietly in a tranquil space punctuated with brief rays of light. While initially quite minimalist, it eventually builds into a lush soundscape of flowing waters, cosmic drones, and trippy, sunshine psychedelic synths, heralding in the alien sunrise. The final piece keeps the bright tones alive. Over a rambling, vague sequence, synths swell and guitars explore dreamy, Mellotron spacescapes, eventually drifting off into a starry wilderness. Despite the moments of sunshine (including the very bright cover art! ), this, overall, is perfect music to kick back at night with the headphones on and just let it take you away to unknown dimensions and alien sonic worlds. This is the real stuff! Highly recommended!